With each winter comes a strain of the flu. In recent years this common illness resulted in anywhere from 12,000 – 56,000 deaths in the United States. In the 2017/2018 flu season, this escaladed to an estimated 80,000 flu related deaths in the U.S. That is a pretty severe season in these modern times. Consider though, that just 100 years ago (1918) a flu pandemic killed 500,000 in this country alone and 50 million worldwide! That is more lives lost from the flu than all of the total military deaths of World War I and World War II combined! In 1918 very little was known about what caused influenza, how it was spread, how to treat it, or how to prevent it. There were no vaccines yet, no antiviral drugs, and no antibiotics to treat secondary infections like pneumonia, so containment was extremely difficult. The 1918 flu caused severe buildup of fluid in the lungs which, very literally, caused patients to drown in their own fluids – a problem readily resolved today with a medical ventilator. At that time though, the first mechanical ventilator known as the “Iron Lung” was ten years away from invention and was mainly utilized in the treatment of Polio. Mainstream use of mechanical ventilation didn’t come until the 1950’s when Forest Bird put into production the very first respirator. From then on, ventilators have been a huge part of treating not just respiratory illnesses, but are a fundamental aspect of life support. With ventilation and many other treatment options available, we are much better equipped to handle things than we were 100 years ago. I recently read a speech given by author John Steele Gordon, in which he summarized the history of American medical insurance. In my opinion, the most compelling part of his remarks was the historical backdrop he shared about the rising prominence of hospitals from the late 1800’s through current times. It’s interesting to realize just how relatively new our current healthcare system really is! In his description, Gordon also touches a great deal on the rapid advancements that have been made even during my lifetime (40+ years) not just in treating diseases, but curing many of them as well. I’ve chosen to share a large portion of Gordon's remarks rather than simply summarizing them in my own words. I hope you will gain a greater perspective on the availability and access we have to excellent medical care. In that regard, it is such a great time to be alive! Many of the treatments and cures available today were not available, or even discovered as recently as the 1970’s! Consider the many sports related injuries that occur that were once considered career ending. Today many of those same injuries are highly treatable, making full rehabilitation possible and a return to the field of play the norm rather than an exception. I think we largely take for granted the amount of work, research, discovery, and advancement that continues to drive the quality of healthcare in the United States and other developed countries. Never in history has there been such a wide array of knowledge and care available to those that need it. While cures for many diseases still elude us, the advancements made in treatment and care are better than they’ve ever been. Furthermore, advancements continue. Medical research is ongoing and continually evolving as the years progress. Ten years from now we’ll surely look back and be amazed at the new advancements that will have been made. Someone once observed that changes observed on a daily basis seem minor and inconsequential, but looking back over the span of many decades, the cumulative changes that occur are truly monumental! Such is the case in healthcare. As I’m writing this, the holidays have just past. On a personal note, among the many blessings I am especially thankful for during the holidays, and in fact every single day, is my health and that of my family. We have certainly not been immune from diseases, injuries and even life-threatening situations, but what a blessing it is to live in this country – in a time and place where the opportunity for a good healthy life abounds. I am grateful for the many pioneers in medical research over the years that have made it possible for us to have what we have and those that continue to do so. Med One’s mission is to help put medical technology into the hands of caregivers to optimize patient care to the fullest extent possible. It is a great blessing and even a privilege to participate in this process. The excerpts quoted below came from Imprimis,“A Short History of American Medical Insurance” September 2018 • Volume 47, Number 9 • John Steele Gordon (Author, An Empire of Wealth: The Epic History of American Economic Power.) The publication was adapted from a talk given by Gordon delivered on board the Crystal Symphony on July 25, 2018, during a Hillsdale College educational cruise to Hawaii. “Perhaps the most astonishing thing about modern medicine is just how very modern it is. More than 90 percent of the medicine being practiced today did not exist in 1950. 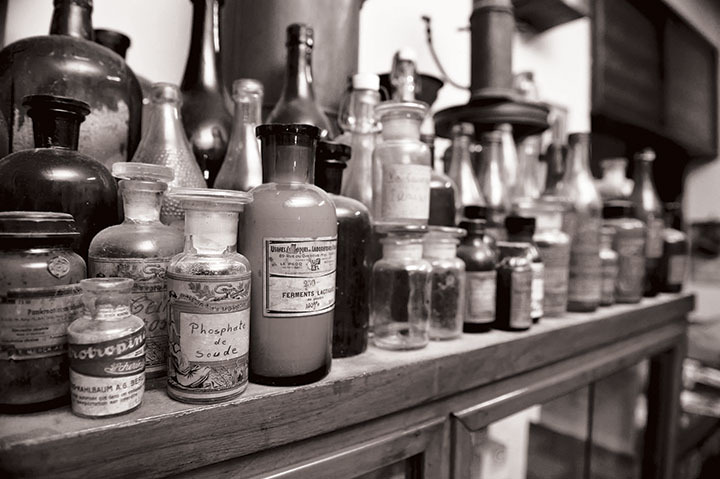 Two centuries ago medicine was still an art, not a science at all. As recently as the 1920s, long after the birth of modern medicine, there was usually little the medical profession could do, once disease set in, other than alleviate some of the symptoms and let nature take its course. It was the patient’s immune system that cured him—or that didn’t. It was only around 1930 that the power of the doctor to cure and ameliorate disease began to increase substantially, and that power has continued to grow nearly exponentially ever since. This new power to extend life, interacting with the deepest instinctual impulse of all living things—to stay alive—has had consequences that our society is only beginning to comprehend and address. Since ancient times, for example, doctors have fought death with all the power at their disposal and for as long as life remained. Today, the power to heal has become so mighty that we increasingly have the technical means to extend indefinitely the shadow, while often not the substance, of life. When doctors should cease their efforts and allow death to have its inevitable victory is an issue that will not soon be settled, but it cannot be much longer evaded. Consider the 1980s, when medical expenses in the U.S. increased 117 percent. Forty-three percent of the rise was due to general inflation. Ten percent can be attributed to the American population growing both larger and older (as it still is.) Twenty-three percent went to pay for technology, treatments, and pharmaceuticals that had not been available when the decade began—a measure of how fast medicine has been advancing. But that still leaves 24 percent of the increase unaccounted for, and that 24 percent is due solely to an inflation peculiar to the American medical system itself.